Upon entering our office, you will be greeted with a warm smile. We will provide you with initial paperwork that is designed to help Dr. Smith better understand your health history and information regarding your condition. If you'd like to get a head start with your visit, we've provided the New Patient Packet to download for your convenience in the Paperwork section of the website. 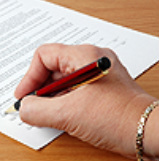 Next you will have a consultation with Dr. Smith to discuss your health-related needs. The consultation is designed to help Dr. Smith learn more about you, your condition and expectations to determine how chiropractic can help serve your health needs. It also provides you the opportunity to ask any questions you may have about Dr. Smith or his approach to chiropractic wellness. After your consultation, Dr. Smith will perform a complete chiropractic examination which includes a computerized assessment of nervous system function. This exam uses surface electromyography (sEMG) to assess muscle activity adjacent to the spine. It also includes thermography to assess autonomic nervous system function. Other standard neurological, orthopedic, postural and physical tests will be performed as well. However, nothing in our office with been done without your consent. Depending on your specific condition Dr. Smith may decide to take X-rays as well. 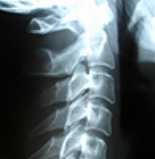 X-Rays help us develop the most effective treatment plan for you and alert us of any serious spinal conditions. Once your X-Rays are developed, Dr. Smith will analyze them and present his findings during your next visit. In your next visit, Dr. Smith will discuss the developed X-Rays and any test results. Dr. Smith will highlight any areas of concern and explain his recommendation for further spinal adjustment. He may also suggest certain stretches, exercises and activities to help you keep your spine healthy. .At the end of your first visit, Dr. Smith will perform your first spinal adjustment. Regular adjustments take only about five minutes and are pain free for most patients. 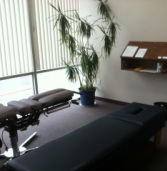 Many patients express sensations of calming and relief and enjoy the feeling of realignment. After your first adjustment it is not uncommon to be a little sore. You may feel little change at first or you might experience immediate relief. Different patients have had some of these initial responses and have gotten great results. Healing takes time, so hang in there even if you feel a little sore or nothing at all after your adjustment.